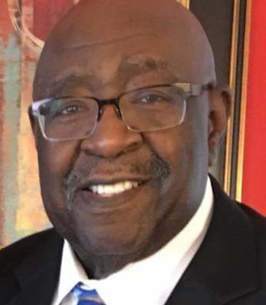 James Ransey Service Details - Toledo, Ohio | The House of Day Funeral Service, Inc.
Bishop James L. Ransey, 70 passed away Tuesday, September 11, 2018. Bishop Ransey was the Pastor of Guiding Light Tabernacle for 32 years. He was also veteran of the US Army and a professional truck driver. He is survived by wife, Jimalene "Jeanne" (Cosper) Ransey; daughter, Kenya Monique Ransey; sons, James Lennon & Jamie Alan Ransey; sisters, Bertha Jackson, Ruby L. Cummings, Teresa (Edward) Haynes, Genise (Harold) Lindsey; and a host of other family and friends. Funeral Services are Tuesday, September 18th, 2018 at 11:00 am at First Church of God (3016 Collingwood Blvd.) Visitation is Monday 3-6pm at The House of Day Funeral Services Chapel. Jubilee Service following visitation 7pm at Rock of Praise 1632 N. Cove Blvd. To send flowers to the family of James Leroy Ransey, please visit our Heartfelt Sympathies Store.